As she answered the phone, all that could be heard was a dog barking, followed by a breathless “hello?” Laughing, she apologized as she took care of the dog and returned to the call, lively in every word and excited for the interview. Rose Marie Beebe is a renowned Spanish professor and exceptional editor, and she knew how to make a nervous interviewer feel comfortable. Quite the combo. “I was so thrilled with the work on the two magazines!” she said, referring to La Mezcla and Nuevos Caminos, the Spanish publications we produced last fall (which I wrote about here and here. Rose Marie made sure she spoke of how much she enjoys working with Capital A Publications, praising Ariane for her accuracy and attention to detail. She admitted that one reason why she wanted to do the Spanish magazines was because it would give her the chance to work with Ariane again. Cover of volume 22, no. 1, 2005. Before producing La Mezcla and Nuevos Caminos, Ariane had the chance to work closely with Rose Marie on a number of publications. 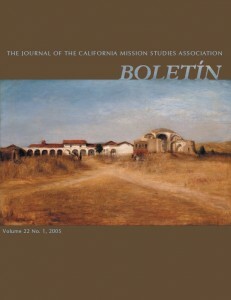 The Boletín: The Journal of the California Mission Studies Association, was the first, a design project started at the Arthur H. Clark Company. The journal ran for ten issues before coming to an end. Rose Marie likened the Boletín to what she accomplished with her Spanish class. She talked of how it was so awesome to see her students really jazzed about writing. “I wanted them to have something to hang on to,” Rose Marie said. 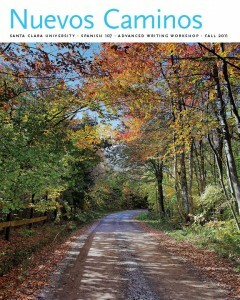 Cover of volume 25, no. 1, 2008. Concerned with the students getting bored, she looked at the magazines as something to persuade students to really work hard and look forward to an end result. Twice a week for two hours at a time, her students worked hard on essays, ads, and anything else they wanted to include in the publication. She described the laughter that surrounded her in the classroom, not because students were messing around or not working with a purpose, but because they were truly enjoying the writing process. Rose Marie watched as students’ Spanish improved because they had to pay close attention to what they were writing. She said she’s going to teach the class again, and she hopes the school will fund her project next time. Though she does plan on continuing the class, she’ll be taking a year off to translate a five-volume memoir. She said she feels like a detective sometimes, using tricks and tips she’s learned through the years. Rose Marie was born in San Jose, and has lived there her whole life. She grew up in a bilingual home as her mother is from Cuba. Her grandparents lived across the street and spoke only Spanish. Rose Marie said her grandmother was her mentor, and a wonderful one at that. She taught Rose Marie how to read Spanish as well as speak the language. Rose Marie credits her grandmother for inspiring her to become a teacher. 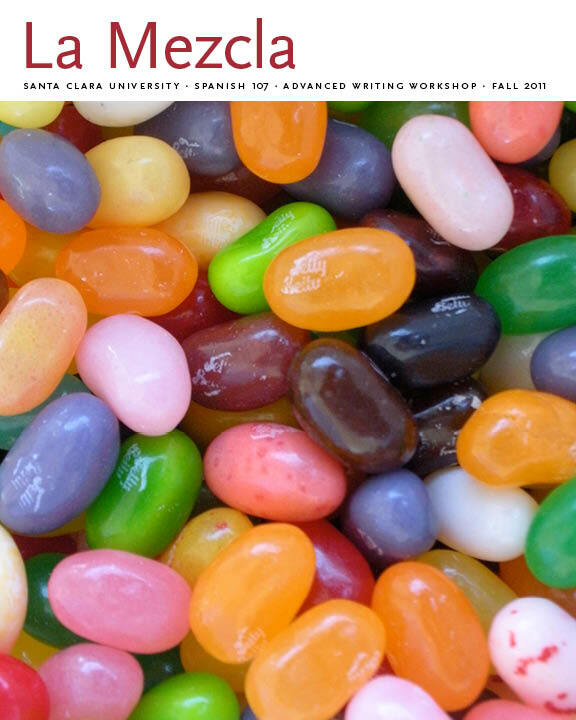 After high school, Rose Marie attended Santa Clara University, then Stanford for her Ph.D. She was hired at Santa Clara right away when she graduated from Stanford and has been teaching since 1978. In the beginning of her career at Santa Clara, Rose Marie met her husband, Bob Senkewicz. As a professor of history, Bob compliments Rose Marie very well in both their marriage and in their work. They’ve been working together since the nineties and have completed a number of books together. Rose Marie said she believes they are a great pair. Bob speaks fluent Spanish, and she knows much more about history since working with him. She giggled when she admitted that Bob cannot get past a New York accent while speaking Spanish. We also worked with Rose Marie on a collection of essays from a presentation that was given at the Santa Barbara Mission Archive–Library. 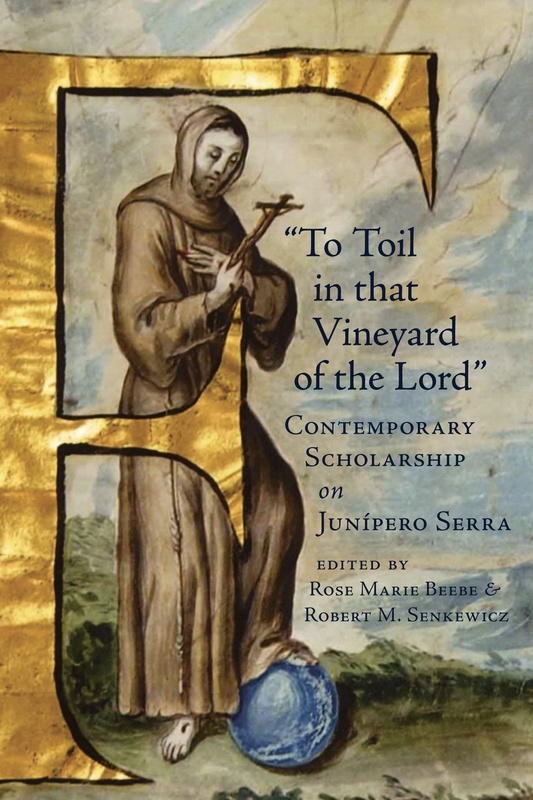 The essays present new scholarship that is being done on Junípero Serra, a priest who was negatively portrayed because of his mistreatment of Indians. 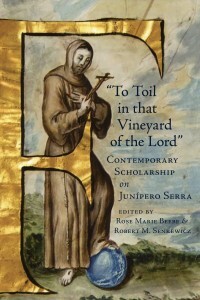 Cover of "To Toil in that Vineyard of the Lord": Contemporary Scholarship on Junípero Serra. Next Rose Marie and Bob worked on a documentary series, Early California Commentaries, that follows along the same lines as the previous essays. Their goal is to get primary documents accessible to scholars, researchers and anyone else interested in the topic. Pairing with that series is a monograph series, Before Gold: California under Spain and Mexico, which is also published by the Arthur H. Clark Company and designed and typeset by Capital A. 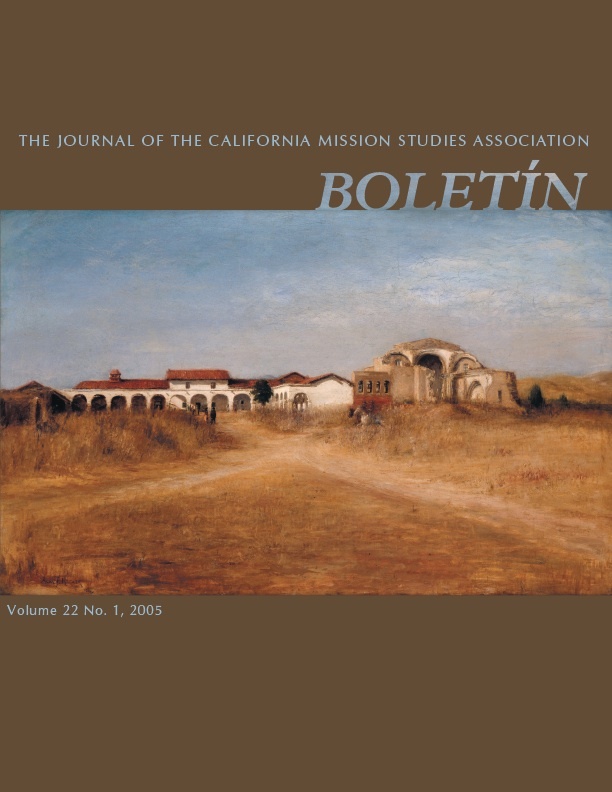 The first volume, Vineyards and Vaqueros: Indian Labor and the Economic Expansion of Southern California, 1771-1877. The second volume, Contest for California: From Spanish Colonization to the American Conquest, is expected to be printed soon. Rose Marie mentioned seeing a review for Vineyards and Vaqueros in the fall 2011 issue of Southern California Quarterly, another Capital A publication for the Historical Society of Southern California. 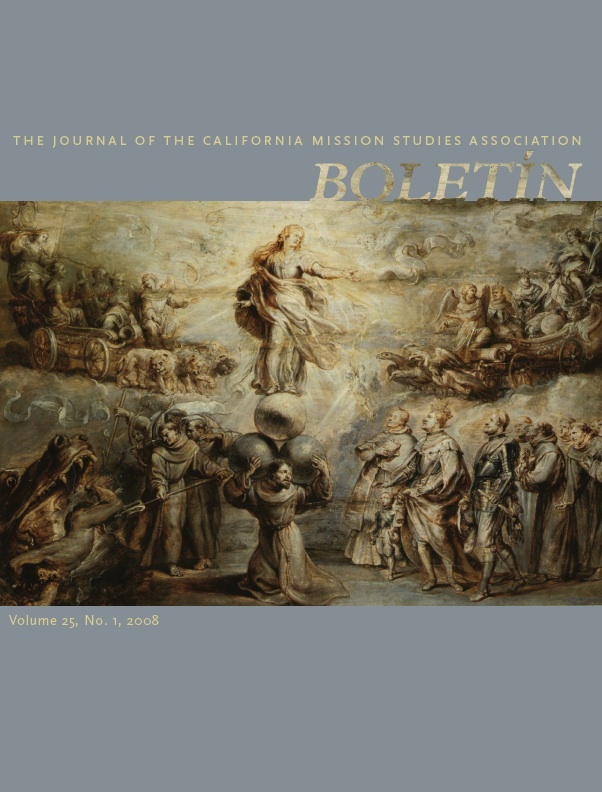 A review of the first volume of the Early California Commentaries series, with Anza to California, 1775-1776: The Journal of Pedro Font, O.F.M., ran in the winter 2011-2012 issue of the journal as well. This entry was posted in books, historians, journals and tagged Boletìn, Capital A Publications, Contest for California: From Spanish Colonization to the American Conquest, Early California Commentaries, Historical Society of Southern California, Rose Marie Beebe, Santa Barbara Mission Archives, Southern California Quarterly, Vineyards & Vaqueros. Bookmark the permalink.